“There are so many people working for the sake of the salary but they don’t love what they do. I hear all the time, ‘I don’t know what I should be doing’ but I encourage them, ‘You do know what you should be doing, you just need to dig deep in order to find what it is.’ Writing proved to be the prescription that kept me moving forward and excited to wake up each morning,” she says. Pennington grew up east of Los Angeles and was on track to study business in Pasadena when her father became ill with heart failure. Knowing he would not pull through, he told her she would have to take care of her mother, brother, and sister. So when he died, the 19-year-old did just that, her part-time business became full-time work: a “surrogate wife” service, picking up kids from activities and school, cooking meals, cleaning, planning parties, and even doing a little home decor. At 23, Pennington was recruited as a service manager by California Leisure Consultants, a destination management company in Southern California, working with meeting planners to organize events in the Los Angeles area. In less than two years she became director of sales and marketing. Pennington stayed with the firm for a further five years. She then moved to Seattle with her fiancé in the early 90s. But then Pennington’s health started to take a hit as she neared 40. Suffering from borderline Addison’s disease, which is characterized by chronically low energy levels, she started to fall apart physically, “I was completely and utterly exhausted. My doctor told me my adrenal glands were shot and if I wanted to recover, I would have to shutter my business immediately and take a year off. That was scary!” she laughs, with little irony. With her events management business reduced to consulting, Pennington decided to throw herself into her novel but didn’t know where to begin. “I had to think of it this way, the many proposals I had created over the years were merely short stories which I made come alive. I needed to take on this massive task of writing one chapter at a time.” She also got married. It was all going well for some years as she dabbled in some real estate ventures until, once again, her health got in the way of her ambitions and happiness. 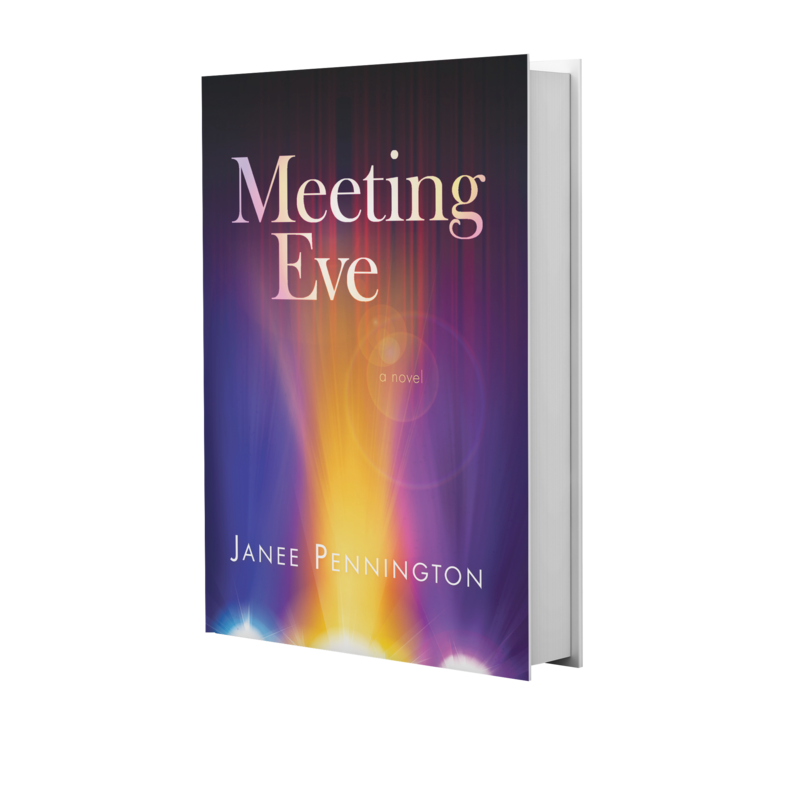 The first novel in Pennington’s planned trilogy, Meeting Eve, was published in December last year. “I was in a state of fear when I got a diagnosis. Eve was my inspiration. Writing the book gave me a reason to get up in the morning. Her adventures are loosely based on mine but she is not me. If you had told me seven years ago I would be working on my second book, I would have thought you were crazy. I didn’t even know how to write but I worked with a writing coach and have a great editor,” she explains. Find your passion even if you need to work with someone in order to discover it. Learn as much as you can so you can be the best at what you do. This way you are doing what you love and it won’t feel like work. If I had only known then what I know now… I would have taken more deep breaths and found more balance. Communicate – So many misunderstandings and bad feelings can all be solved by the power of the verbal word. Be positive and surround yourself with like-minded people.